Posture may be a reflection of our mental state, habits we have developed over the years, underlying pathology, or an expression of an environment we are, or have been, exposed to; however, for many it is simply that thing which we all say we wish we could improve on (but is ‘just too hard to maintain!’). This article will focus on conventional posture which is taught for working at a desk, as well as how modern research fits in. The top of the monitor bezel should be at, or just below, eye-level. Sit so that you are not slouched over; but, also so that you are not erected straight like a pencil! Both of these extremes put unwanted pressure on the discs, in different ways. 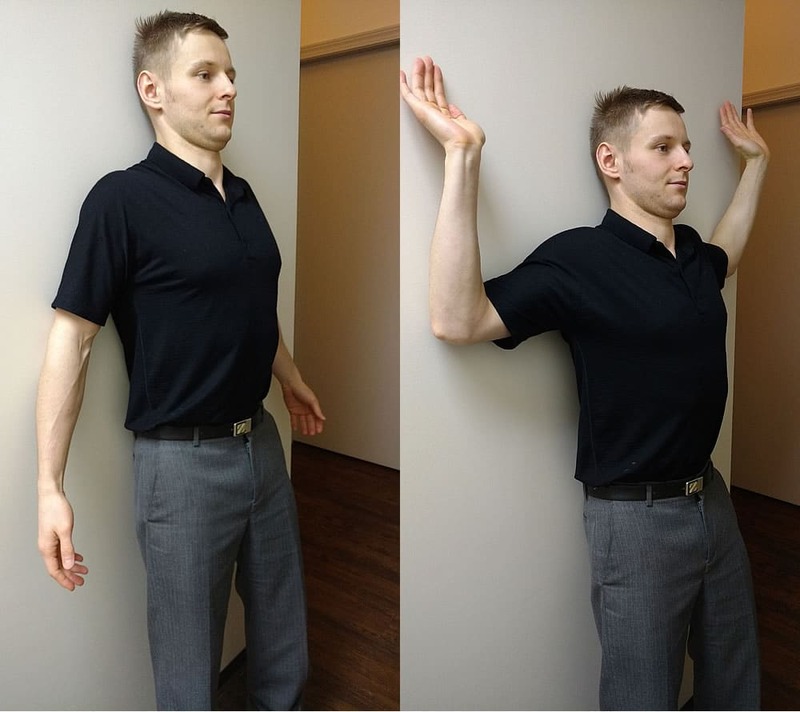 A physiotherapist once recommended to go from a ‘100%’ erect posture, with shoulders back towards each-other, and then relax about ’20-30%’, following a deep breath in and out. Shoulders are relaxed, and not sinking forward. Elbows are at a 90 degree angle, utilizing arm-rests on the chair (not illustrated in the diagram). Wrists are comfortably supported in a neutral position, neither too flexed or too extended back. The depth of the seat should accommodate a feeling of proper support for the back. A cushioned back-rest provides comfort for the back, while providing support. Knees are flexed at 90 degrees. Feet are supported at a respective level, either by the floor, a bar, or a sturdy platform (such as a small stool, or larger books). 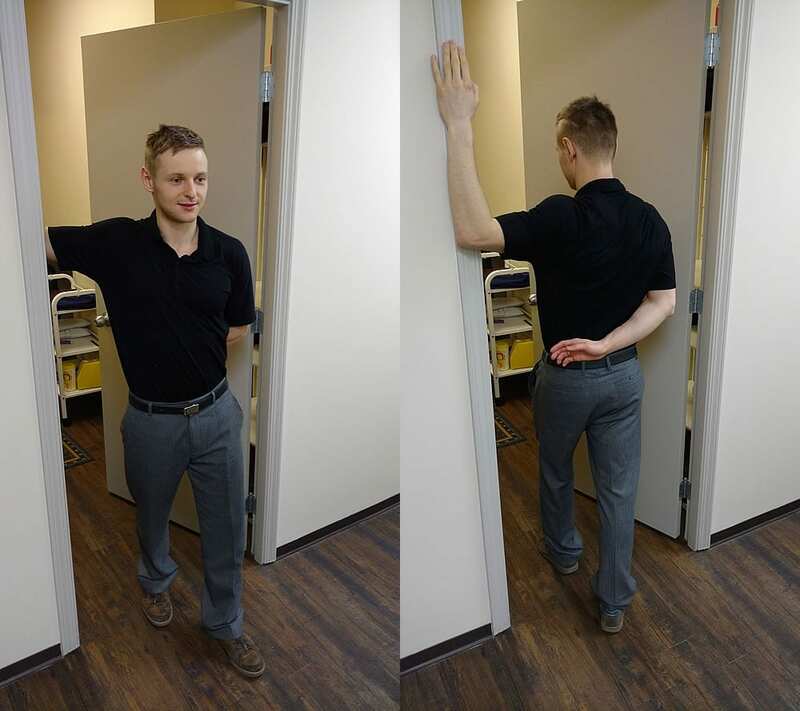 This information should serve as a general guideline, as more research is showing us that there may not be a ‘perfect’ posture to rigidly attempt to maintain throughout the day. But, then… what does this mean? Your posture should feel comfortable, and accommodate the tasks to be performed without putting you into discomfort or strain. Moderation is key, and you should not maintain any one posture for long periods – switch it up! Make time and set reminders to get up and stretch, walk around, etc. Begin a strength-training regimen to add resilience to your form, and to help promote overall good health. Make sure that you are breathing properly. We call this diaphragmatic breathing, where you breath into and fill the ‘belly’ first, up and into the upper chest last, and then exhale (this will be covered in more detail in a future article). How we breath affects our posture, and our posture affects how we breath! With modern research, the way how we view and address posture is changing. While we are narrowing away from the idea of a ‘perfect posture’ at the work-desk, please keep in mind that posture still holds importance in safety with regards to certain conditions (ex. spinal disc herniation) or activities (such as lifting heavy weights/objects). Many of us may dread the next day of work, simply at the thought of how we feel when sitting for so long. So, before you start your next shift at the desk, take a moment to review this advice, and… let’s see how the day goes. Sometimes, it may not be the environment causing us stress, but rather how we function within it! And remember, like all things, it gets better with practice. For further advice, I recommend that you look at our “Posture and Habits” article. Disclaimer: The views expressed on this blog are my own and do not reflect the views of my employer. The information on our site is for educational and informational purposes only. For specific advice, please seek help from a medical doctor or from one of our qualified practitioners or specialists. In continuation of topics on better posture, today I’d like to talk about habits. In essence, I believe that any change that you make in your life be it exercising, eating differently, or sitting straight requires forming new habits. And certainly changing one’s posture falls into this category. Today I would like to share a strengthening exercise that I often recommend to my patients to correct bad posture. I call this exercise a “Wall Stand“. We often work with office workers. While working in an office might seem like an easy job from a physical perspective, it still has potential risks for your body. Two major hazards are head-forward posture and slouching. Welcome to MedSpa Health Centre Blog. 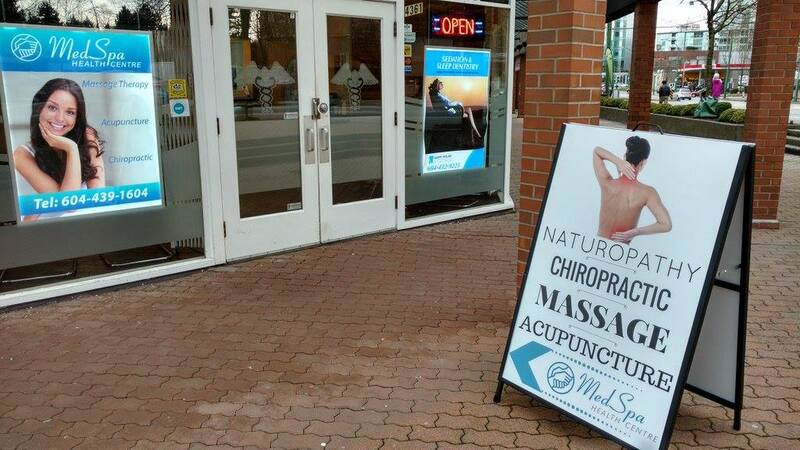 This is a place where health care practitioners from various disciplines such as massage therapy, acupuncture, and chiropractic connect, engage, educate, and inspire our patients.